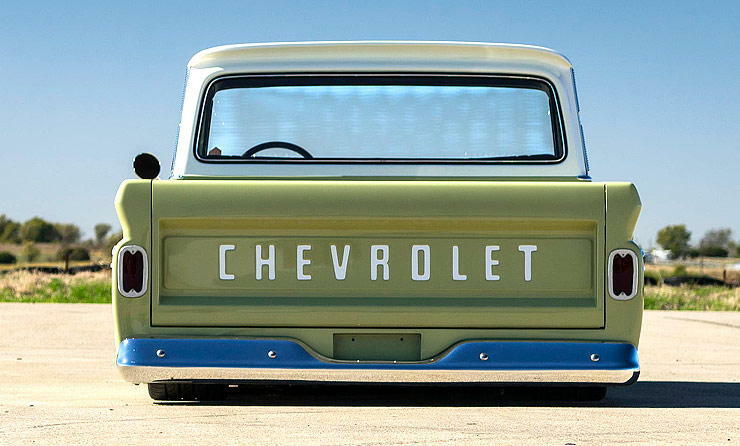 The Chevrolet C/10 pickup is definitely one of the most modded pickups out there today. They are plentiful, moderately priced, and just look great stanced and cleaned up. 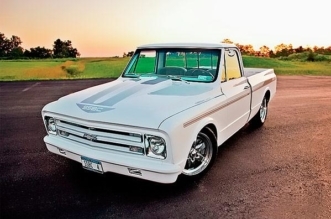 This 1965 C10 has had similar treatment, and it looks fantastic. Mike Slosh’s custom built pick up called Boosted Bertha is a classy work of art that stands out from the crowd in both looks and performance! There is no question that the fit and finish is superb throughout this vehicle. The C10’s body is bone stock and finished in Mango Green that perfectly captures the period vibe of the ‘60s. That bed is great; it was widened to match the width of the cab, with the lift away panel to show off the air ride suspension. There is no question that the fit and finish is superb throughout this vehicle. 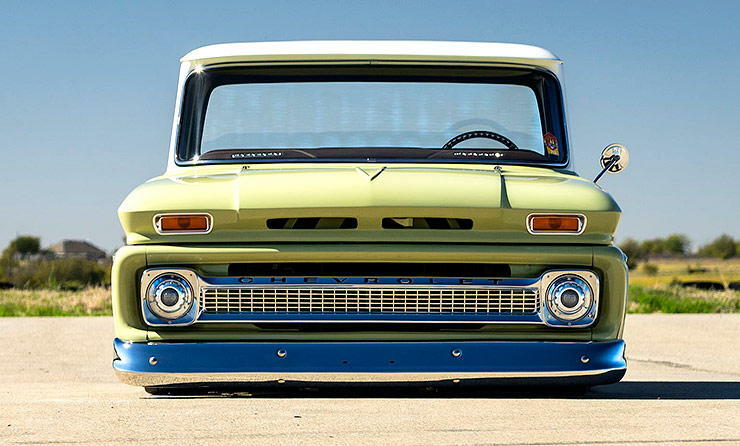 The slammed stance was achieved with a one-off cantilever system with QA1 adjustable Street Star shocks on all four corners, a Porterbuilt air-bagged front member and 1-inch narrowed control arms. The truck rides on a set of wide 30-series Pirelli P-Zero tires mounted on polished Budnik Pivot wheels. Meanwhile, the interior receives chocolate leather with cloth seat inserts, a set of custom gauges and other cool modifications so you will be comfortable as you take over the street! The heart of the beast is a LS 408 engine – sourced from Mast Motorsports – with a polished Magnuson LS7 supercharger and custom-made intake from Wegner hooked up to a TCI 4L80e with 10-inch billet converter. This is one mean truck. With the heavy performance mods, Boosted Bertha is bound to leave most other customized street trucks in the dust! 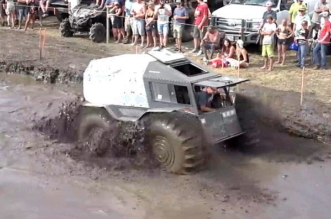 Check out the ScottieDTV video below that shows off the attention to detail that went into this build that made it stand out from the crowd.